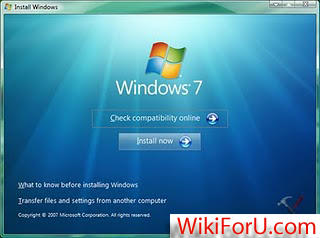 Have you installed so many Applications on your Windows 7 and Your Windows Performance is Slow? Is your Windows is Shutting Down too Slowly. Don't Mind Friend,Because we are here to help you. You have to make a little change in your Windows and Your Windows 7's Shut Down Speed will so Fast. 1. Click on Start Menu and then Click on Run Command. then-> SYSTEM-> CurrentConrolSet -> Control-> Scroll Down and Double Click on Session Manager-> Double Click on Memory Management and then Click on PrefetchParameters. 4. Now in Right Side Box right click on Enable Prefetcher and Click on Modify. 5. Now Write Value 2 (By Default it is 3) and hit Enter Key. 6. Now Find Enable Superfetch and Right Click on it and also Set it's Value to 2. 7. Now Hit the Enter and Exit Registry Editor. Restart your Computer and See the Result.........Now Next your window will shut down with speed. So Enjoy it,Kindly Bookmark and Share it,If you like it.